Imagine a land where nothing exists. Where earth stretches for miles under your feet and the unrelenting blue sky mocks you with a false sense of warmth. Not a pin drops, not a breeze blows. All you have for relief are the fierce vultures circling lazily overhead and the sound of your own heart – beating way too fast to be of any comfort. Welcome to no man’s land – the boundless expanse of white Kalahari salt pans that dominate the landscape in the middle of the daunting Kalahari desert! The desert has existed for more than 60 million years and salt pans for only for the last 10,000 years. And yet, the surreal landscape holds it’s own among the enchanting landscapes Africa is known for, bringing travelers and photography enthusiasts back here time and time again! Though the Kalahari is deserted, the resemblance to our traditional idea of a typical desert ends there. The name itself is a version of the Tswana word ‘Kgalagadi’, which means ‘the great thirst’ – a meaning that rings true to every single visitor here! The Kalahari is a vast sheet of white sand, hardened by the continuous evaporation of water from the surface. The desert keeps it’s many secrets – of ancient fossils and precious gems, hidden beneath the surface, and bushes, trees and tall grass grow with abandon. 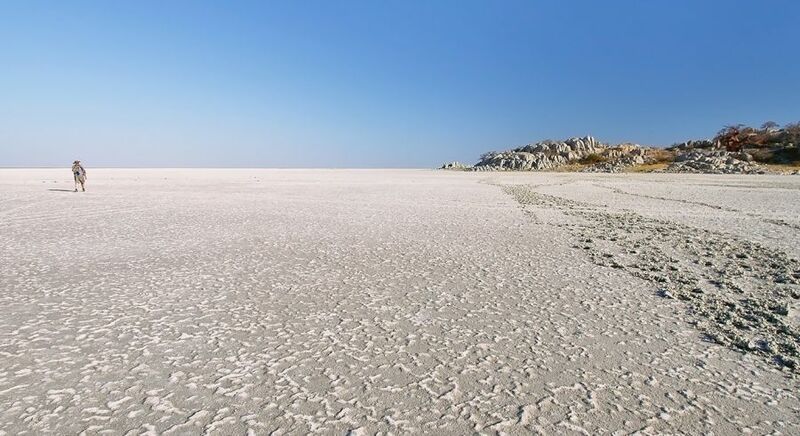 Once a part of the ancient and gigantic Makgadikgadi lake, which dried up in the last 10,000 years, the Makgadikgadi Salt Pans, the Nxai Salt Pans to its north, and the Sua Pans and the Ntwetwe pans to its east, form the Kalahari salt pans – the largest network of salt pans in the world! The pans themselves are gargantuan – fringed by vegetative islands, full of eerily silent fossil beaches and stunted red baobab trees reaching up to the sky. The minerals, which have accumulated on the surface over thousands of years, reflect the sun’s rays and give the landscape it’s snow white color. It’s a primitive landscape, untouched by any modern element, where the earth and sky blend into each other and all you can see of the horizon is a hazy mirage. This part of the desert is home to an inland drainage system. In the wet summer months after the rains, the water temporarily fills up the salt pans and the surrounding areas are covered in sweet grass, making them grazing grounds for many wild animals. The spectacular salt pans are a sight to behold throughout the year. Many visitors prefer to take a break from the monotonous game drives and escape into the harsh wilderness of the Makgadikgadi Salt Pans, in the Makgadikgadi Pan National Park. These pans cover about 10,000 square kilometers of the Kalahari and are nothing but salt! While some of these pans are no larger than a baby pool, some will awe you with their sheer size! On these salt pans you will experience a lunar landscape like no other! You can sleep under the stars, watch the earth curve right in front of your eyes and, if you’re lucky, watch a great wildlife migration. 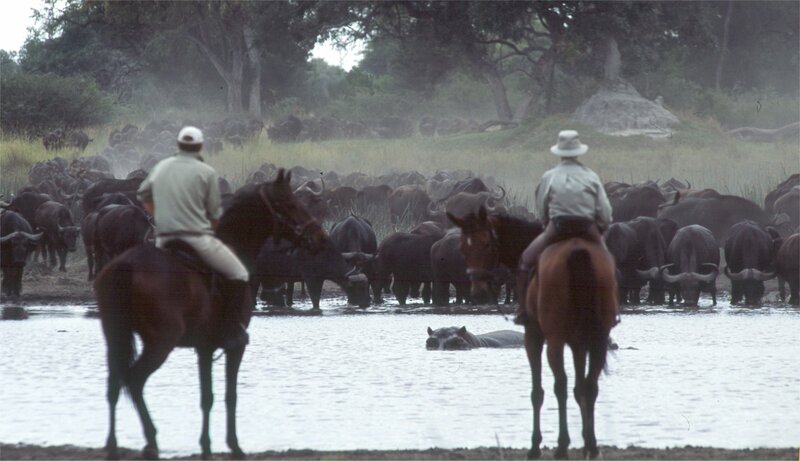 When in Africa, this is not a sight you want to miss! 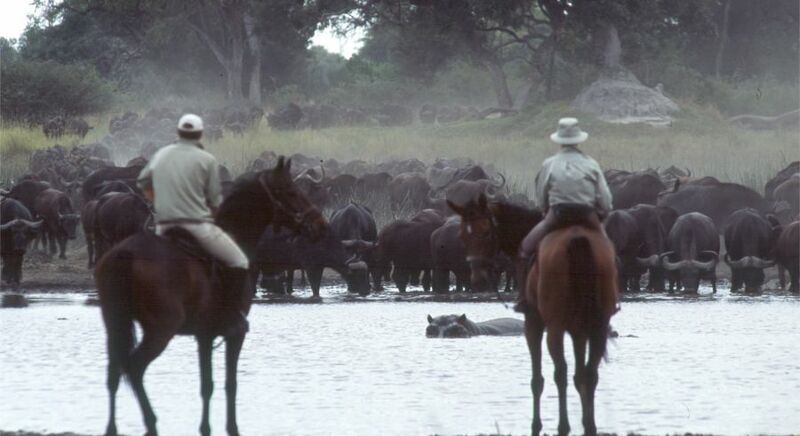 A visit to the Nxai Pans, located just north of Makgadikgadi National Park, will leave you fascinated. The fossil pans here are littered with grass and you can easily spot wild animals grazing. In the rainy season, the park is a haven for herbivores like giraffes, springboks and gemsbok, as well the carnivores like lions, cheetahs and hyenas that follow them here. The Boteti River on the west side of these pans is inundated in the rainy season and forms pools of water. Many herds of zebras migrate down the river around this time, with predators hot on their trail. Beautiful pink flamingos flock to the salty Sua Pans in hordes during the wet season while zebras and wildebeest jostle for space during the dry months of winter, along with giraffes, elephants and even a few white rhinos! Naturally, the predators. Spend your days exploring the vast expanse of the salt pans on a quad bike – reveling in the sheer isolation and discovering fossils of giant hippos from ancient times. Camping in the Kalahari salt pans at night is an experience like no other. Stretch out under the millions of twinkling stars in the clear night sky and you’ll feel transported to a different time, a different place, and a different life! Spend some time bird-watching and if you’re lucky, you’ll see more than 30-40 different species in a single day! Visit the San Bushmen, who have lived here for centuries, and you will see first-hand how they hunt, gather, cook and survive in the harsh aridity. You can also hire a bushman to guide you through the Kalahari salt pans and give you some local advice on life, the universe and everything else! Do see the imposing, Baines’ Baobabs, immortalized through the 1862 painting by adventurer Thomas Baines. It’s amazing how, even more than 150 years later, the cluster of millennia-old trees remains almost completely unchanged! Stunningly surreal scenery, unrivaled remoteness, and centuries old Bushmen tribes – the Kalahari salt pans are certainly incomparable. Other-worldly? Perhaps. Enchanting? For sure! Plan your very own Kalahari adventure. Explore our sample itineraries for inspiration.